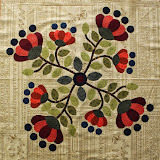 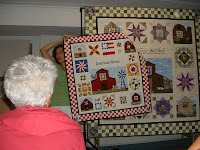 from Pat Knoechle's visit to O'Susannah's Quilt Shop on May 24th and all the glorious quilts we saw. 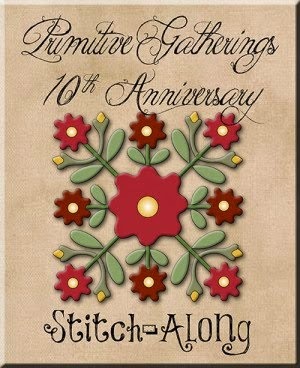 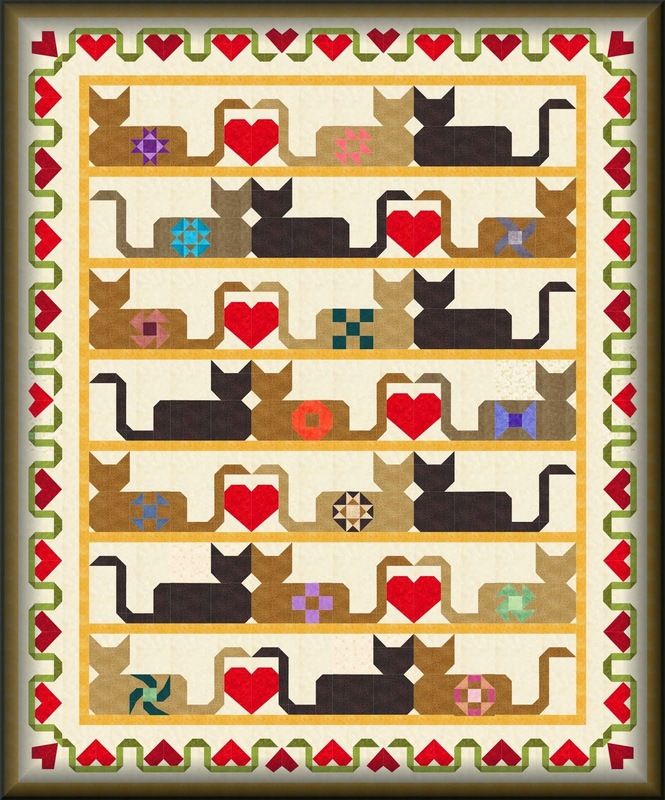 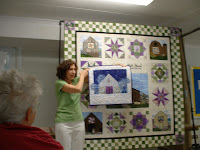 Pat is the sister of Eleanor Burns of Quilt in a Day. 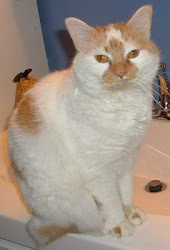 I'm sorry, but I didn't have the time to crop the pics. 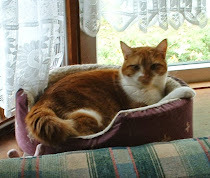 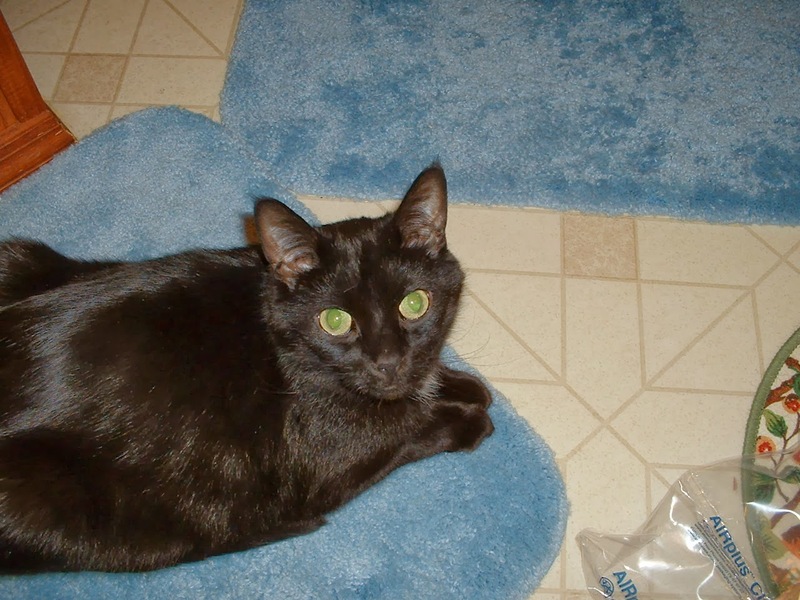 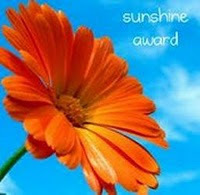 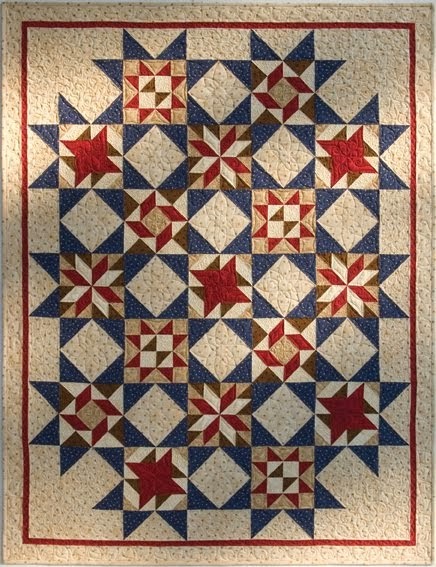 Click on each picture to see a larger view. 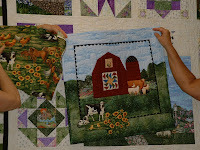 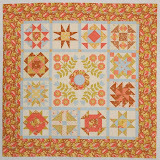 These are from the new book Eleanor has out called Quilt Blocks on American Barns. 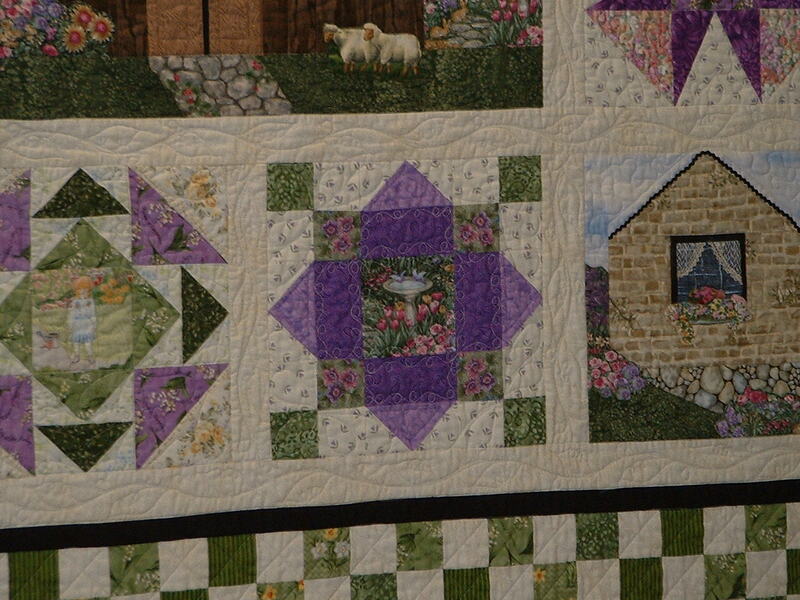 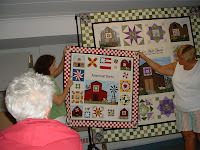 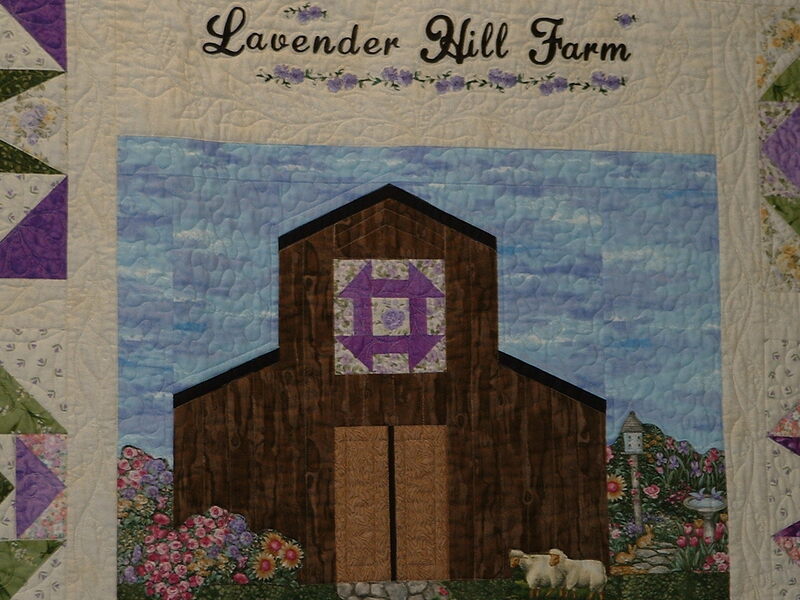 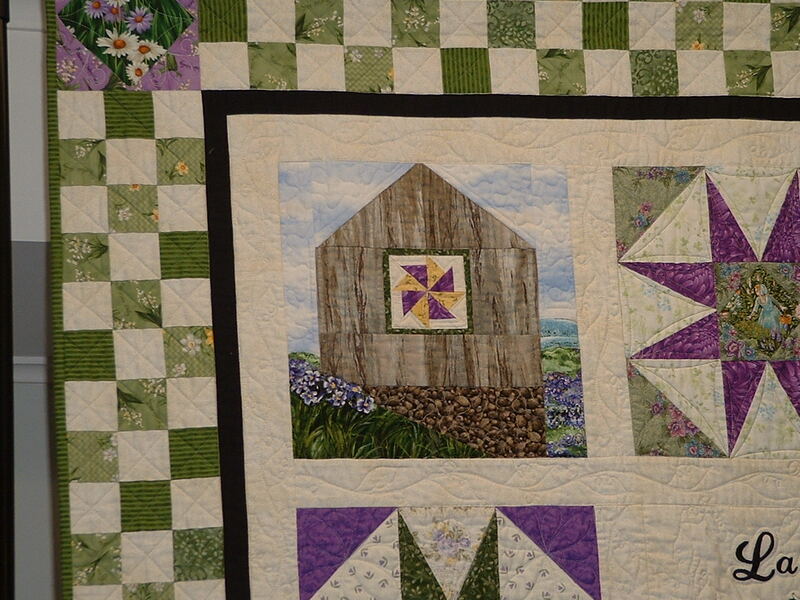 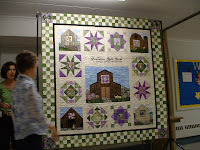 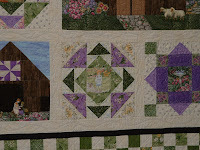 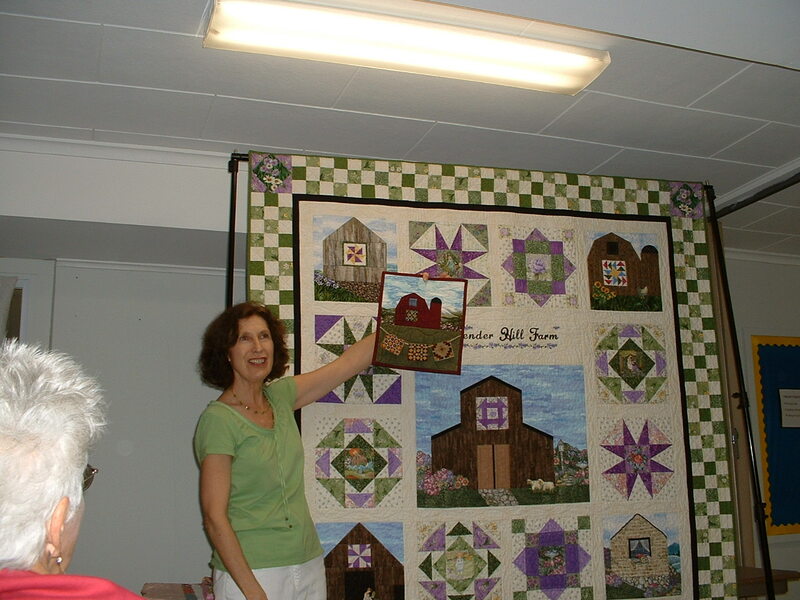 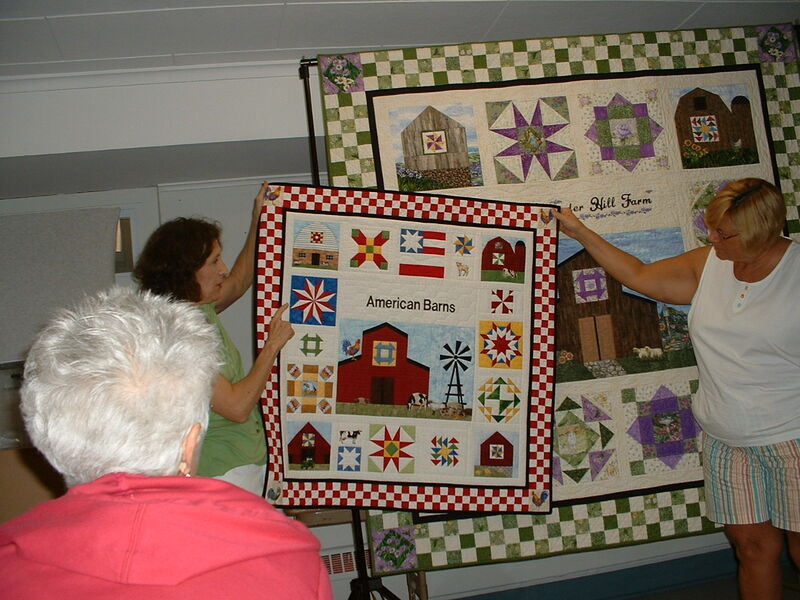 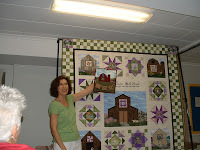 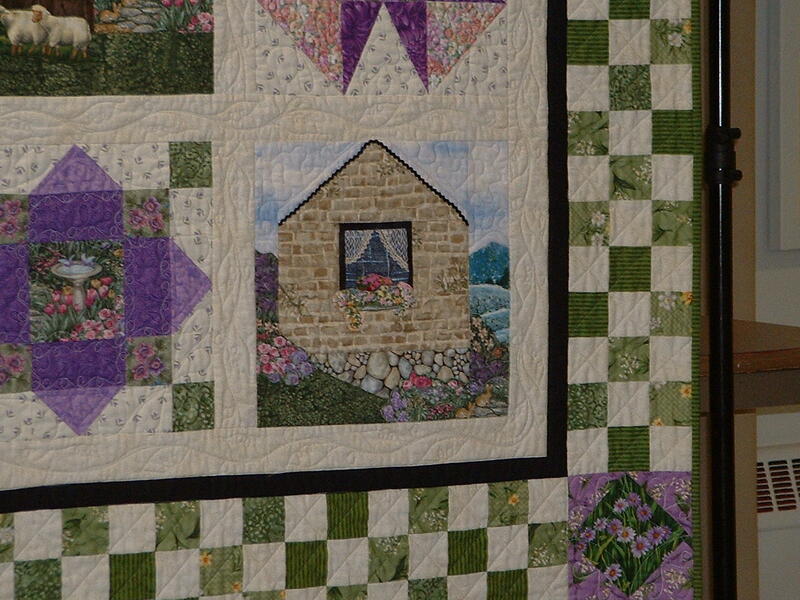 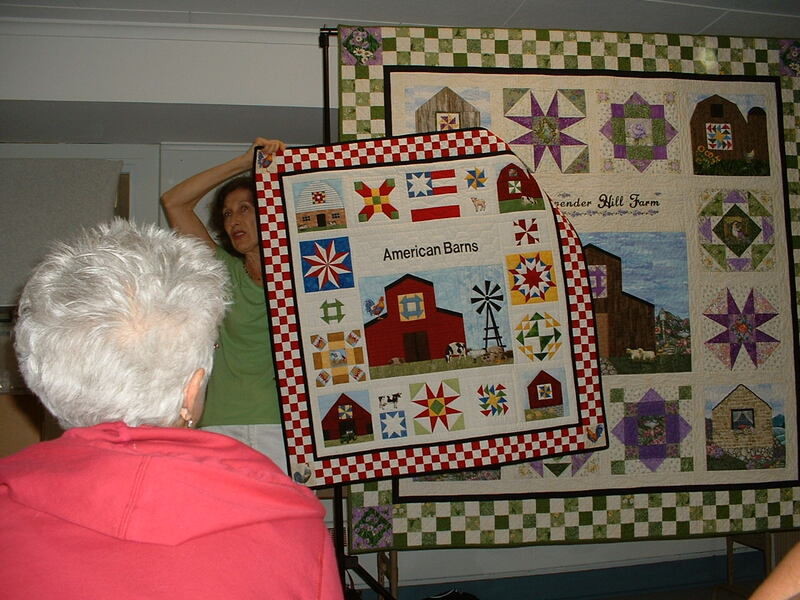 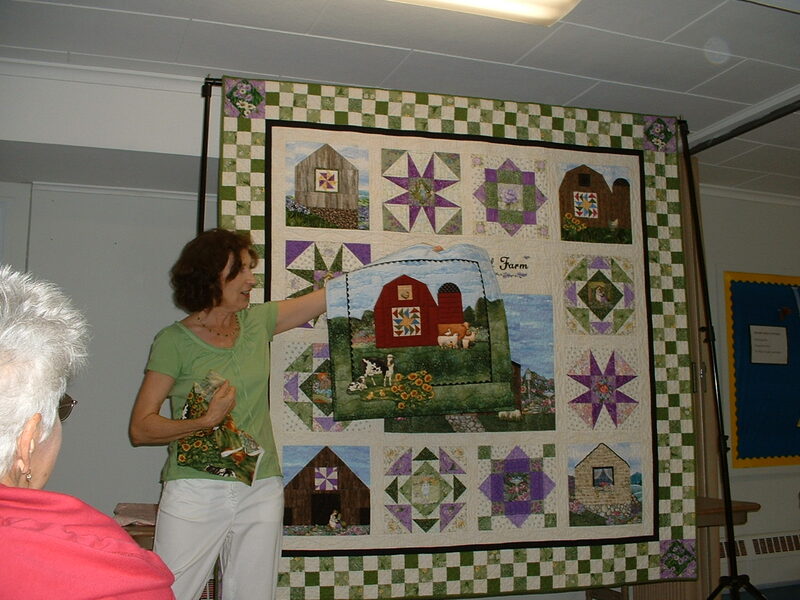 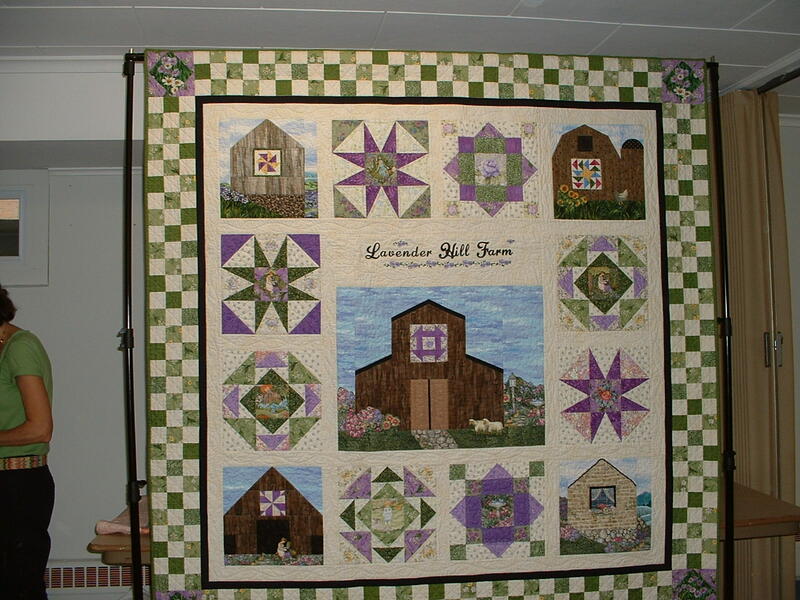 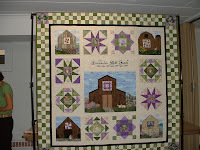 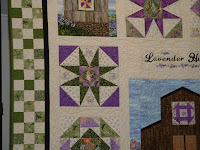 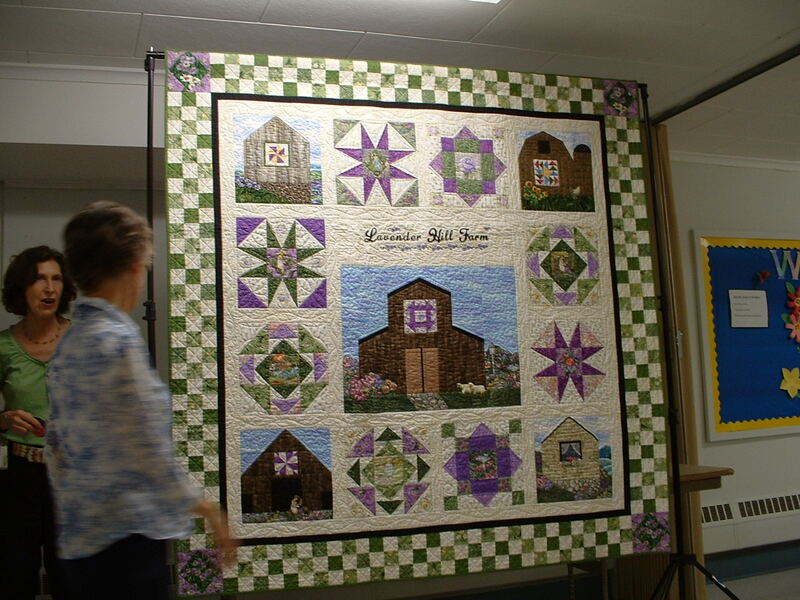 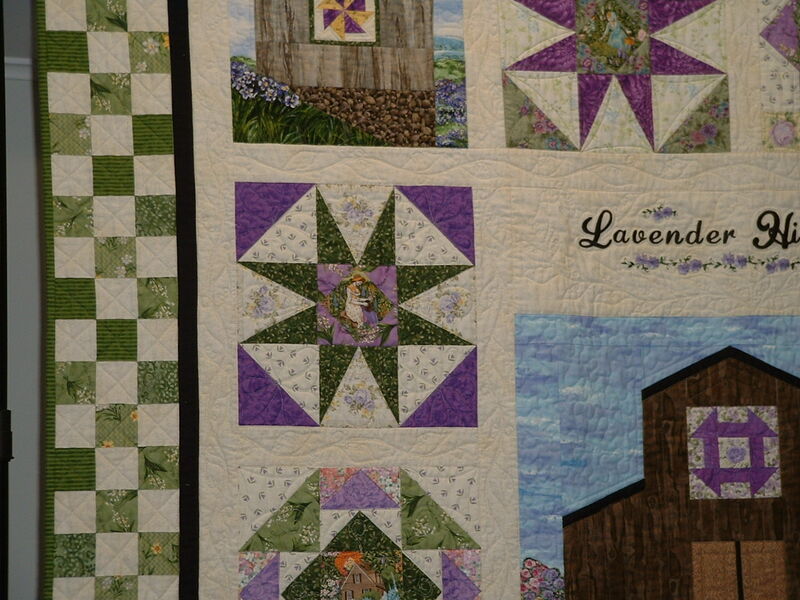 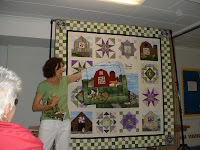 This first quilt is Pat's version, called Lavender Hill Farm. 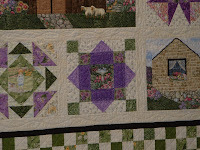 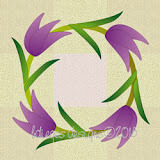 Gorgeous in purples and greens! 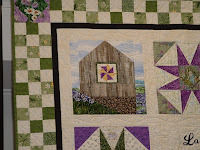 Next time I'll show you the new quilt patterns that make 3 completely different quilts from jelly rolls and other Moda pre-cuts. 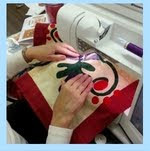 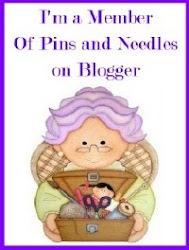 In the meantime, stop over at MAKE and check out Kelly's blog with a great new set of bag tutorials. 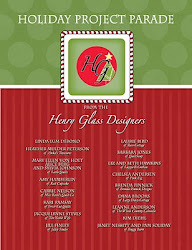 The info is on my side bar or when you go to her blog page, it's on her sidebar, also. 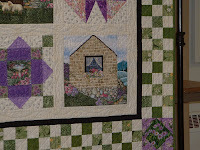 Step 2 is up now, but the PDF file is not listed yet. 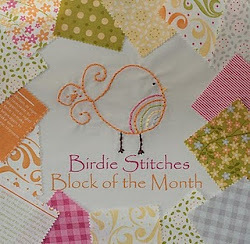 These bags will be a great start on your holiday gift-giving!